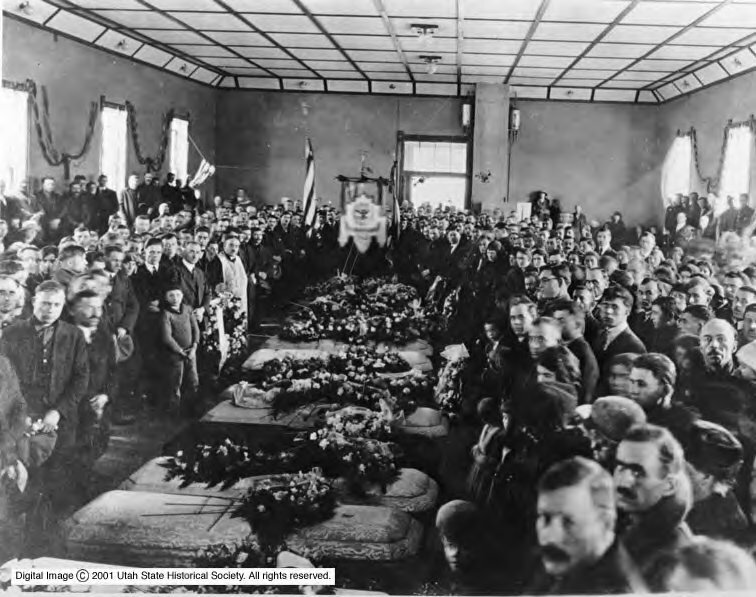 Description Mass burial services for some of the Greek immigrants killed during the Castle Gate Mine explosion in 1924. Held in a hall at Castle Gate. Father Sinyrnopoulos is at center left.